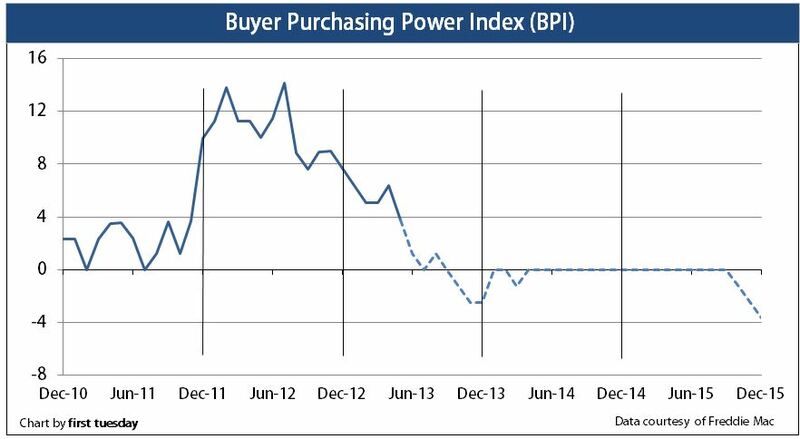 The buyer purchasing power index (BPI) decreased to 3.77 in May 2013. This score is down from 6.36 in April and from 9.99 one year ago. The May 2013 BPI represents a 3.77% year-over-year increase in mortgage funds available to today’s buyers. However, the recent rise in home prices has effectively neutralized buyers’ increased purchasing power. For sellers, conditions remain positive for some upward home price movement until later this year when pricing will likely trend flat. first tuesday forecasts the BPI will drop to zero mid-2013 and remain around zero through 2014. There will be no change in buyer purchasing power until 2015, when the BPI will begin a negative descent as long-term rates rise due to a more dynamic economy. Sellers will then experience downward pressure on prices, as buyers are able to borrow less with the same income. 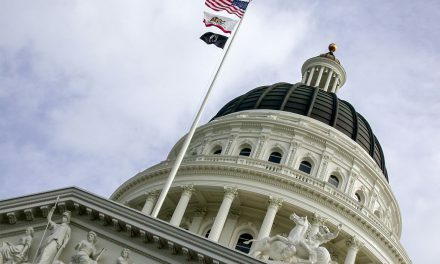 The BPI is calculated using the average 30-year fixed-rate mortgage (FRM) rate from Freddie Mac (Western region) and the median income in California. An index of zero means there was no year-over-year change in the amount a buyer can borrow. At a BPI of zero, homebuyers cannot purchase at higher prices than one year earlier unless they resort to adjustable rate mortgages (ARMs). As BPI rises, a buyer can borrow more purchase-assist funds. 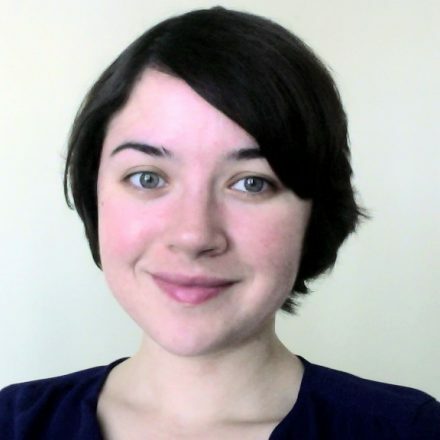 In turn, they can acquire a higher priced home. 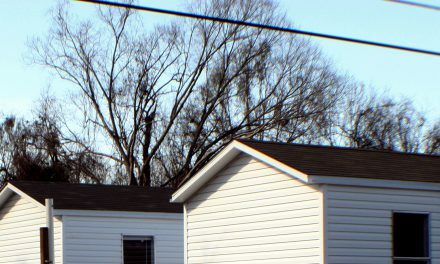 May a city deny a mobilehome park’s application for conversion from tenant occupancy to resident ownership if the survey of tenants indicates the conversion is intended to preempt rent control ordinances?